I never knew that a film that entirely took place on a farm could be so gripping. The Levelling is Hope Dickson Leach’s first feature and it’s quite a remarkable piece. There is a certain realisation of talent she possesses with her first feature. 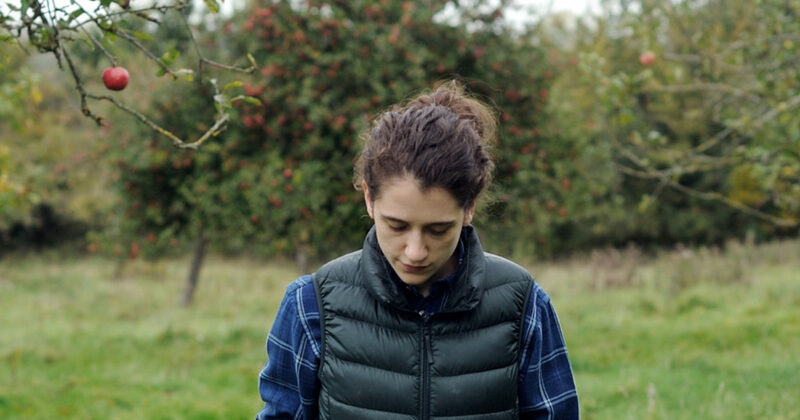 Aside from a few dog walks, the film take places entirely on the grounds of the farm where Clover (Ellie Kendrick) grew up whilst not at boarding school. But what Hope Dickson Leach managed to do was create a realistic feeling that you were there on the farm with her and her father, but using the natural sounds around the farm. Clover comes back to the farm for her brother’s funeral, after it transpired that he shot himself during a party. 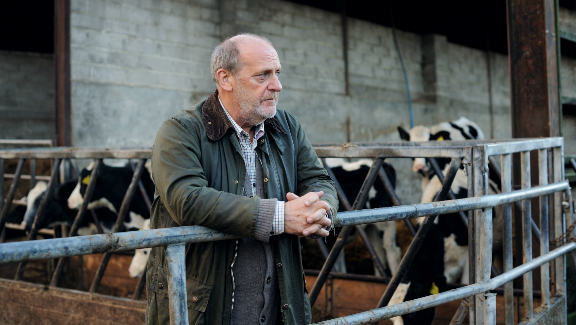 Clover cannot get the story straight and there is a clear resentment towards her father, whom she refers to as Aubrey (David Troughton), rather than the usual pleasantries. Instead of having the film adhere to that one narrative, Hope Dickson Leach decided to interplay the story surrounding the out of favour farm and her brother’s death as well. The night in question was supposed to be a celebration, as Clover’s brother Harry (Joe Blakemore) was taking over the farm, but it ended in tragedy. Clover tries to address the issue surrounding his death whilst Aubrey and James (Jack Holden) try to downplay and dance around the issue. This is where the narrative is head and shoulders above majority of films today, as the tragedy of Harry is pointed to and displayed right out in front of our eyes, but rather in the reactions from James, Aubrey and Clover. Their conversations are disjointed, but the nuanced movements between the characters really accentuate the story that is behind this. Hope Dickson Leach’s The Levelling is incredibly moving and doesn’t rely on any strong visual effects, but rather the powerful story and characters throughout the 83-minute runtime. It’s shorter than I anticipated, but this is irrelevant due to the fact that you become wrapped up in Clover’s story. That’s not to say that Hope Dickson Leach manages to create some beautiful shots of the English countryside, especially as the birds dance against the greying overcast skies. This adds to the reality that Hope Dickson Leach is trying to convey with the setting being in the countryside. And this reality is conveyed through Aubrey and Clover as well, with their British mentality. Although the farm is drastically failing, they continue to work throughout the day and milk the cows. Clover falls into this routine, whilst trying to tie up loose ends surrounding the events that brought her home. But these are real characters that are unfolding on the screen and it becomes incredibly moving as they try to negotiate a way to talk to each other and not be at each others throats night and day. The small knit cast works, as their conversations, or lack of, are the key to this film as Clover finds herself in a place she doesn’t want to be anymore. It’s a strange film to try and review, because of the calibre of The Levelling. It is best to let Hope Dickson Leach’s directorial debut do the talking, because it can certainly walk the walk. Ellie Kendrick is the centrepiece of this and she is just fantastic in this as she tries to come to terms with her brothers death and also reconcile with her estranged father. 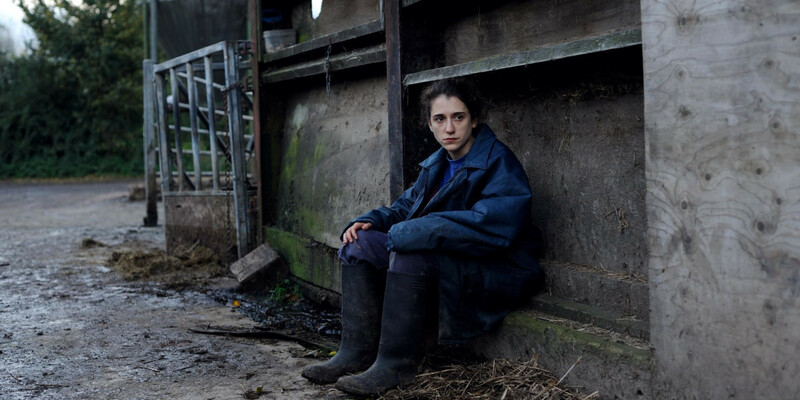 The Levelling is a film of true brilliance and really emotes empathy in a strong way. A gem truly worth seeking out.